Caer was the first person born into the post-apocalyptic Seattle with wings. In a world where buildings are grown and ballets are performed in the air, Caer fits right in with her dance company. She only wants to dance, but fate has other plans. A new take on post-apocalyptic fiction! I absolutely love the crossover that happens when science fiction meets fantasy and this book was a wonderful example. Buildings can magically grow and people can be born with wings in this society. These two aspects are uniquely distinct for this world, but they both grew out of the post-apocalyptic history of the world. I love books set in Seattle and it was interesting to see which parts were ‘underwater’ and which parts were ‘new.’ In this world, there are still high-rises (because buildings grow). I would have liked to see more detail (science) into how they grew buildings, how they killed buildings, and everything in between for this new technology. The details of the air ballet were incredible and I felt like I was right there in that building watching that performance. I wish air ballet existed today. The storytelling was smooth and the world building was unique. 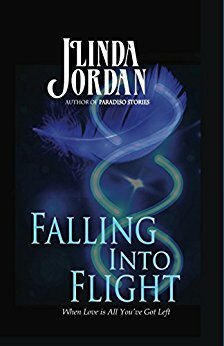 I wouldn’t mind reading more fantasy by Linda Jordan. This novel was published through Metamorphosis Press on 3/27/2015 and is available on Amazon here.